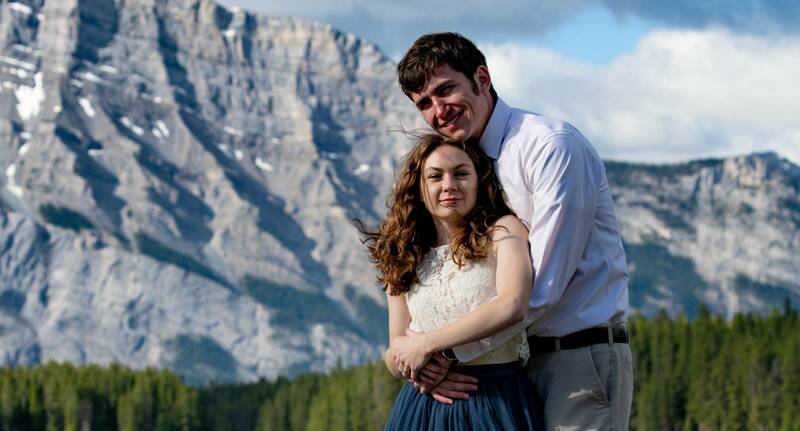 Clara and Tanner on their Honeymoon in Banff. We met at Two Jack Lake, 8am in the morning to catch some magical light, not to cold, not to many tourists. As typical I showed up early and the water level was higher than i've ever seen it. On went the Hip Wadders and I tried not to scare Clara and Tanner off when they arrived. 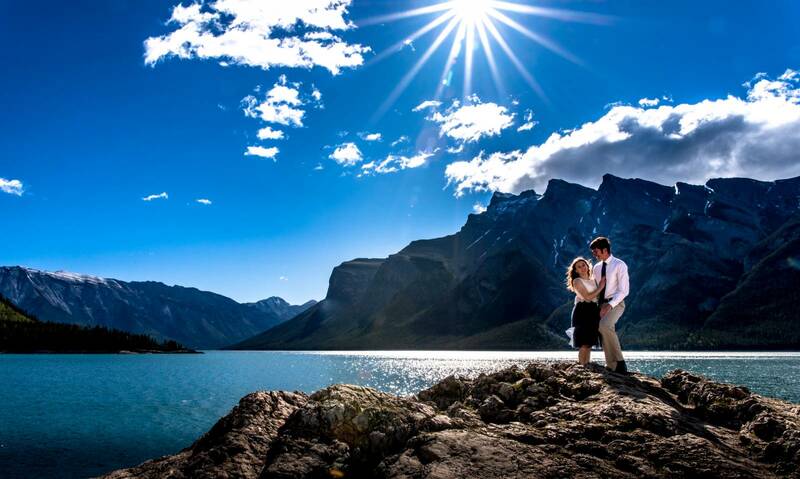 We moved over to Lake Minnewanka, but all the photo's at Two Jack were with me in the water. What a blast. Parking lot construction also played in our favor and they closed the entrance shortly after we arrived, so , Yes, we had the place to ourselves. Thank You Clara and Tanner Eliuk.The light was stunning, the colors were crisp. We couldn't have asked for a better few hours. Truly I can not pic just a few favorite pictures from this Session.